During a press conference to officially announce the Strong Style Evolved lineup, New Japan Pro Wrestling announced that Rey Mysterio’s biceps injury will prevent him from wrestling this Sunday against Jushin Thunder Liger in Long Beach, California. 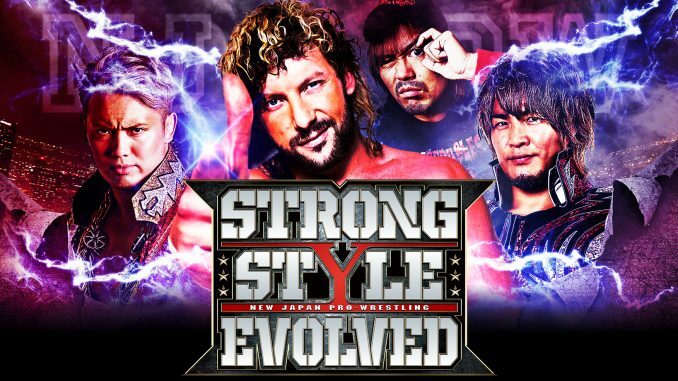 Will Ospreay will be taking Mysterio’s spot against Liger at Strong Styles Evolved. Here is the full card for Sunday’s show at the Walter Pyramid, which will air at 8 pm Eastern on AXS TV in the U.S. and New Japan World outside of the United States. *Kazuchika Okada and Tomohiro Ishii vs. Minoru Suzuki and Zack Sabre Jr.
*Davey Boy Smith Jr. and Lance Archer vs. Toru Yano and Chuckie T.